Take the To-do App, which Erich Gamma showed on SpringOne 2017, as an example. The sample is composed of two layers: Angular JS client and Spring Boot RESTful web service. It illustrates the flow to login and retrieves user's information using AAD Graph API. Login with credentials and get validated through Azure AD. 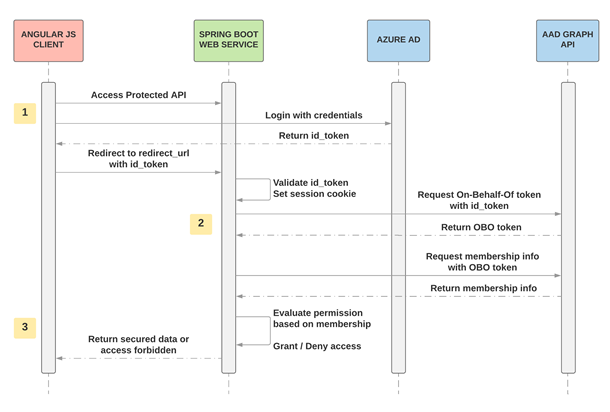 Retrieve token and membership information from Azure AD Graph API. Evaluate the membership for role-based authorization. To get started, first register a new application in Azure Active Directory. 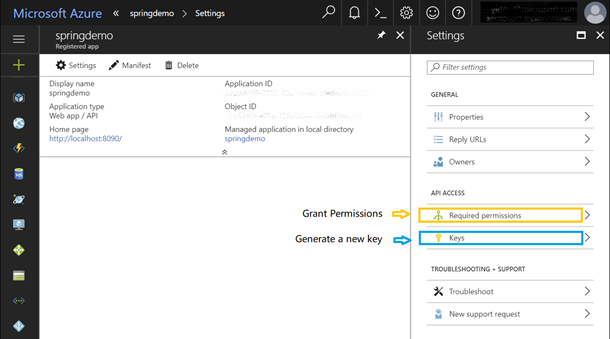 After the app is ready, generate a client key and grant permissions to the app. @PreAuthorize: Implement Spring’s @PreAuthorize annotation to provide method-level security with roles and permissions of logged-in users. isMemberOf(): provide access control with roles and permissions based on a specified Azure user group. Run and test your app in a web browser. 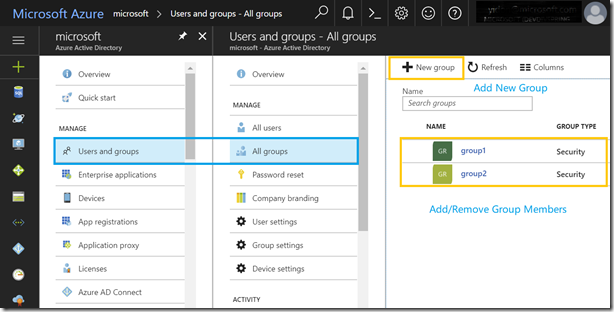 Now you can easily use Azure AD Group for access control by adding or removing group members.